Cascade Solutions offers full service process engineering and consulting services because the process itself is central to any manufacturing solution. 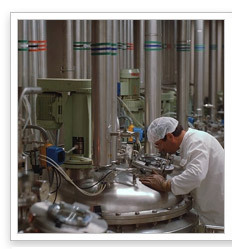 Our expertise in the biotechnology and pharmaceutical industries includes experience in both engineering and manufacturing management in these highly regulated environments. Our team offers engineering design for your process skid, process suite or for your entire facility. Coupled with our automation skill set, Cascade Solutions is unique in its ability to deliver complete systems – from design, procurement, automation, through commissioning and validation. Many confuse automation with process control, but they are distinctly different entities. The automation software may provide the tools for process control, but our team can further optimize the process performance – implementing various control algorithms and analyzing the overall control strategy, including the piping design and field devices. At Cascade, we treat process control as the engineering discipline that it is – quantifying and controlling your process in an optimal manner – using both our engineering skills and the latest software technology. just click on "News & Resources" to review our Solution Series.